We have two exciting webinars for you next week - Researching Your German Ancestors by Kory Meyerink (Wednesday June 6) and Genealogy Idol (Saturday, June 9). Registration (free) is available for both at www.LegacyFamilyTree.com/webinars.asp. More Americans have German ancestry than any other ethnic group and German research sources are some of the most detailed and helpful in all of Europe, so what are you waiting for? Most German families can be documented back to the 1600s and this webinar will help you get started. You don’t need to speak German or travel to Germany to have wonderful research success. We’ll cover the basics, including the language, records, places and the tools you need to begin your journey to find your German ancestors. The live webinar is scheduled for Wednesday, June 6, 2012 at 2PM Eastern U.S., so register today to reserve your virtual seat. The second-ever Genealogy Idol competition will be held Saturday, June 9, 2012. The three finalists have now been chosen and the winner will be decided by YOU! All you have to do is register for the live event (free), watch the 1-hour competition from your computer, and vote. In the three rounds of competition, the three contestants will demonstrate their gen-tech expertise and try to woo you with their favorite gen-tech secrets. Everyone will learn - but only one will leave with the title of "Jamboree Genealogy Idol 2012" AND a Flip-Pal mobile scanner. Legacy Family Tree's Geoff Rasmussen will host the competition which will be broadcast live via the Southern California Genealogy Jamboree in Burbank, California on Saturday. Contestants are: Gale French, Texas; Tammy Hepps, New York; and Tessa Keough, Oregon. The one-hour competition will feature three rounds of topics. Each contestant will have five minutes to impress you with their demonstrations. Regardless of whether you will be in a seat at Jamboree or in a virtual seat from your home, you will see and hear it all - live! At the very end, YOU, the online audience will decide the winner by voting using the webinar's poll technology. Everyone will go home a winner, but the one with the most votes will go home with both the title of "Jamboree Genealogy Idol" and a free Flip-Pal Mobile scanner. The live webinar is scheduled for Saturday, June 9, 2012 at 11AM Eastern U.S. (8AM California time), so register today to reserve your virtual seat. Click on the webinar link (found in confirmation and reminder emails) prior to the start of the webinar. Arrive early (30 minutes or so) as the room size is limited to the first 1,000 arrivals that day. If you have New York ancestors you need to watch the recording of Thomas MacEntee's webinar, Researching Your New York Ancestors. Thomas began with a brief history of New York, then explained New York migration patterns, followed by his 10 Resources You Should Now, and finished with a Knickerbocker's Secret Links. Well done Thomas! If you could not make it to the live event or just want to watch it again, the 1 hour 30 minute recording of Researching Your New York Ancestors is now available to view in our webinar archives. Visit www.LegacyFamilyTree.com/webinars.asp to watch. It is available for free until June 11, 2012. Own your own copy of Researching Your New York Ancestors by purchasing the webinar-on-CD for just $9.95. It includes the 1 hour 30 minute recording of the class, the complete Q/A session, and 4 pages of handouts. Click here for more information or to purchase. All ten of Thomas MacEntee's webinar CDs are available here. The special discount coupon of newyork that was announced during the webinar is valid for 10% off anything in our online store through Monday, June 4, 2012. While many of our ancestors may have come from New York, finding them and the records left behind is another story. New York research offers certain challenges and it helps to know the strategies needed to tackle those Empire State records. In this webinar, you’ll not only get a quick lesson in New York State history and understand why the different regions are important, you’ll also learn about special record sets and resources unique to New York. Whether your ancestor was a Knickerbocker or an immigrant, you’ll be in a “New York State of mind“ with these research tips, tricks and tools. The live webinar is scheduled for Wednesday, May 30, 2012 at 2PM Eastern U.S., so register today to reserve your virtual seat. Registration is free but space is limited to the first 1,000 people to join that day. Join at least 15-20 minutes early (maybe 30-40 minutes early due to the popularity of this webinar) to ensure your virtual seat. When you join, if you receive a message that the webinar is full, you know we've reached the 1,000 limit, so we invite you to view the recording which should be published to the webinar archives within an hour or two of the event's conclusion. 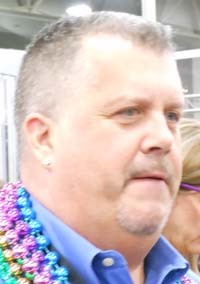 Thomas MacEntee is a professional genealogist specializing in the use of technology and social media to improve genealogical research and as a means of interacting with others in the family history community. Utilizing over 25 years of experience in the information technology field, Thomas writes and lectures on the many ways in which blogs, Facebook and Twitter can be leveraged to add new dimensions to the genealogy experience. As the creator of GeneaBloggers.com he has organized and engaged a community of over 2,000 bloggers to document their own journeys in the search for ancestors. Through his business High-Definition Genealogy, Thomas is available for speaking engagements, workshops and other events. In addition, he can appear via WebEx for virtual presentations and distance education events. High-Definition Genealogy also performs market research within the genealogy industry and has proven track-record of mapping out the genealogy industry landscape for clients seeking to transact business and interact in the field. Staying Safe with Social Media, Friday, June 22, 2012. Click here to register. The Genealogy Cloud: Which Online Storage Program Is Right For You, Friday, July 27, 2012. Click here to register. 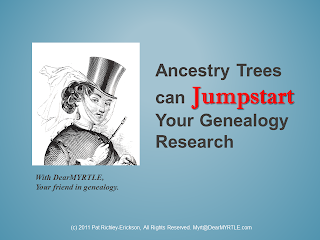 Wikis for Genealogists, Wednesday, August 8, 2012. Click here to register. Privacy and Our Ancestors, Wednesday, October 3, 2012. Click here to register. Presented by: Kathryn Lake Hogan, PLCGS, of LOOKING4ANCESTORS. Kathryn is the branch genealogist for the Bicentennial Branch of the United Empire Loyalists' Association of Canada. 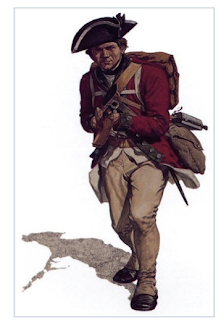 Those who fought for the king during the American Revolutionary War and fled to Canada were known as Loyalists. Learn how to determine if your Revolutionary ancestor was a Loyalist, and how to prove it. Membership in United Empire Loyalists’ Association of Canada will be discussed. Anyone who in intereseted in Loyalist ancestry. Anyone who has or thinks they may have a Loyalist ancestor. Volunteers, librarians and genealogists who want to help their patrons learn about Loyalist ancestry. Find out why Ol' Myrt here finally gave in and posted her tree online. The Georgia Genealogical Society is pleased to sponsor the presentation "Exploring the Georgia Archives Vault" with Kayla Barrett on May 21st, 2012. Summary: New information is being added the Virtual Vault on an on-going basis. Learn about what’s new in the vault, the best ways to search for information, and how to download and print. Presenter: Kayla Barrett has served as Descriptive Services Manager at the Georgia Archives for the past ten years and has worked at the Archives since 1996. Prior to that, she was Special Collections Archivist at Auburn University for five years, Librarian for University Archives at Oklahoma State University for two years, and worked at the University of Oklahoma’s Western History Collections for three years. Originally from Wichita, Kansas, she has Bachelors’ and Masters’ degrees in History from Wichita State University and a Masters in Library and Information Studies from the University of Oklahoma. As Descriptive Services Manager, Kayla is in charge of arrangement and description of the Archives’ state records and manuscript collections holdings of both the paper records and digital or scanned collections. After registering you will receive a confirmation email containing information about joining the Webinar. You will use your unique URL in your confirmation email to logon to the live broadcast on the 21st of May. Genealogical societies and organizations are always looking for ways to attract new members, new income streams as well as new benefits for their existing members. Participating in the Flip-Pal® mobile scanner Affiliate Program is one way to tackle all these issues. By partnering with Flip-Pal, you’ll create a way that your society can earn commissions of up to 13% on Flip-Pal® mobile scanners and accessories purchased through your affiliate link. In this fun and informative webinar, you'll learn from Robin Evans and Thomas MacEntee how to get your society's Flip-Pal® mobile scanner Affiliate Program up and running in no time! Your Head in the Cloud and Your Feet on the Ground with Bret Petersen. To attend the presentation, visit http://www.virtual.ugagenealogy.org and, on the date and time of the meeting, click on the UGA logo. Enter the presentation as a guest. On Tuesday, June 12, at 8 PM Central, Peggy Clemens Lauritzen, AG will present, The War of 1812 – America’s “Forgotten” War, where you will learn about the War of 1812 and the records available to help further your genealogy research. To attend this webinar, register at https://www3.gotomeeting.com/register/361887982. Last week's webinar, Some Great, Seldom-Used, Resources: A Genealogical Potpourri, presented by Timothy Pinnick is now available to ISGS members in the Members Section of the ISGS website (http://ilgensoc.org/members.php). The Friends of the National Archives-Southeast Region, Inc., are please to sponsor the presentation "Social Networking: New Horizons for Genealogists" with Thomas MacEntee on May 14, 2012. Summary: Thousands of genealogists and family historians have discovered new ways to expand and improve their genealogy endeavors using social networking, also called social media networking. Learn the basics of blogging, Twitter, Facebook, wikis and more in an easy-to-follow session that cuts through all the hype and the lingo. Description: Did you know that the over 55 crowd is the fastest growing group of Facebook users? Did you know that Twitter is not the domain of the much younger “texting” crowd but is used by an older more savvy group of people? Did you ever wonder how and if these programs, along with others such as blogs and wikis, can be used to help genealogists? Wonder no more as we explore what makes up the oft-mystifying term “social networking” and how each program is currently being used by genealogists and family historians of all ages. After registering you will receive a confirmation email containing information about joining the Webinar. You will use your unique URL in your confirmation email to logon to the live broadcast on the 14th of May. Our 2012 webinar schedule just got even better. We have opened registration for five additional webinars bringing our number of webinars in 2012 to 43. That's over 60 hours of the highest quality of genealogy education available to you - from your computer - and all at no cost to you. Genealogy Education Where You Are! Here's the lineup for the rest of the year. The brand new classes are in red. Our webinar brochure has also been updated so we encourage you to print it, email it, and share it with your friends, family, genealogy society and local Family History Center. 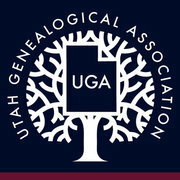 The second-ever Genealogy Idol competition will be held Saturday, June 9, 2012. The three participants have now been chosen and the winner will be decided by YOU! All you have to do is register for the live event (free), watch the 1-hour competition from your computer, and vote. In the three rounds of competition, the three contestants will demonstrate their gen-tech expertise and try to woo you with their favorite gen-tech secrets. Everyone will learn - but only one will leave with the title of "Jamboree Genealogy Idol 2012." Legacy Family Tree's Geoff Rasmussen will host the event which will be broadcast live via the Southern California Genealogy Jamboree in Burbank, California. While their specific topics will be a surprise, everyone should learn a new thing or two about genealogy technology. The one-hour competition will feature three rounds of topics. Each contestant will have five minutes to impress you with their demonstrations. Regardless of whether you will be in a seat at Jamboree or in a virtual seat from your home, you will see and hear it all - live! At the very end, YOU, the online audience will decide the winner by voting using the webinar's poll technology. Everyone will go home a winner, but the one with the most votes will go home with both the title of "Jamboree Genealogy Idol" and a free Flip-Pal Mobile scanner from Legacy Family Tree. If you want to watch the demonstrations and vote for the winner, you need to register. Registration is free but space is limited to the first 1,000 people to join that day. And if you are attending Jamboree in Burbank, register for this special breakfast event and join us in Convention Center Academy 6. Breakfast starts at 7:30am and the webinar begins at 8:00am (9am Mountain, 10am Central, 11am Eastern). The first-ever Genealogy Idol competition was held earlier this year at RootsTech in Salt Lake City. Elyse Doerflinger, Elizabeth Clark, Michael Hait, and Marian Pierre-Louis gave twelve 3-minute presentations. Watch the entire show here. Only a small percentage of the bearers of any surname ever emigrated to the USA. Yet today there are often more name bearers alive in the US than in the original host country. If you want to identify the origin of a surname, you need to DNA test name bearers outside the USA. Chris Pomery is a writer and historian with a special interest in the way historians are developing their uses of DNA testing. Since 2000, he has written two books regarding the use of DNA in genealogy, lectured to more than fifty family history groups around England, written two academic papers and dozens of articles for family history magazines, and been interviewed by many national and local radio stations. Chris maintains a consulting arrangement with Family Tree DNA. He teaches online courses on the topic of DNA testing. "The Effect of the Founders: Why It's Useful to DNA Test People Living Outside the USA"
Having trouble finding people in the 1940 US census? Need some practical tips to make the most of available information? Join MyHeritage's experts on Thursday, May 3, 2012 at 2pm EDT* for a free, live webinar titled How to find your relatives in the 1940 US Census - (register for the webinar). Laurence Harris and Mark Olsen will take you step-by-step through researching the census. They’ll demonstrate how to find the people you’re looking for and how to understand the records you find. 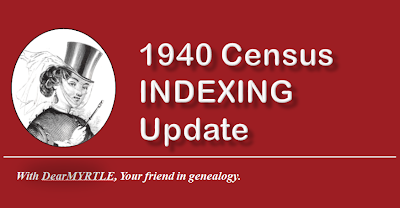 We’ll also look at other methods to help reveal records such as using city directories or converting previous census EDs, how to decipher the information and follow clues for further research. A question-and-answer session with our expert panel - also including Daniel Horowitz and Schelly Talalay Dardashti - will follow. MyHeritage was the first commercial entity to have all the census images online. Search the entire census. We’ve also updated our MyHeritage Mobile App so you can search the census on-the-go. Do you have any questions you'd like answered? Put them in the comments below, and we'll address them during the webinar. Feel free to "like" this post. Share it with your friends so they can also join in - the webinar is open to everyone. If you have Pennsylvania ancestors you need to watch the recording of today's webinar, "Researching Your Pennsylvania Ancestors," by Lisa Alzo. One viewer commented, "I have been stumbling along like a toddler and now I think I can walk!" Pennsylvania can be a difficult state to research, but with Lisa's suggestions you might just break down that brick wall. During the webinar, a viewer wrote in saying that "thanks to one of Lisa's suggestions, I just found the marriage record of my g-g-g-grandmother!" Congrats on your find and thanks again to Lisa for a terrific webinar! If you could not make it to the live event or just want to watch it again, the 1 hour 30 minute recording of Researching Your Pennsylvania Ancestors is now available to view in our webinar archives. Visit www.LegacyFamilyTree.com/webinars.asp to watch. It is available for free until May 14, 2012. Own your own copy of Researching Your Pennsylvania Ancestors by purchasing the webinar-on-CD for just $9.95. It includes the 1 hour 30 minute recording of the class, the complete Q/A session, and 4 pages of handouts. Click here for more information or to purchase. All four of Lisa Alzo's webinar CDs are available here. The special discount coupon of penn that was announced during the webinar is valid for 10% off anything in our online store through Monday, May 7, 2012. After registering you will receive a confirmation email containing information about joining the Webinar. As usual, I'll start the pre-webinar warm-up 15 minutes prior to the start time.